Imagine how a race mechanic would build their personal set of wheels: responsive, stable, strong, and serviceable. Now, imagine that pro wrench was also an engineer with the chops to design their own custom rims. 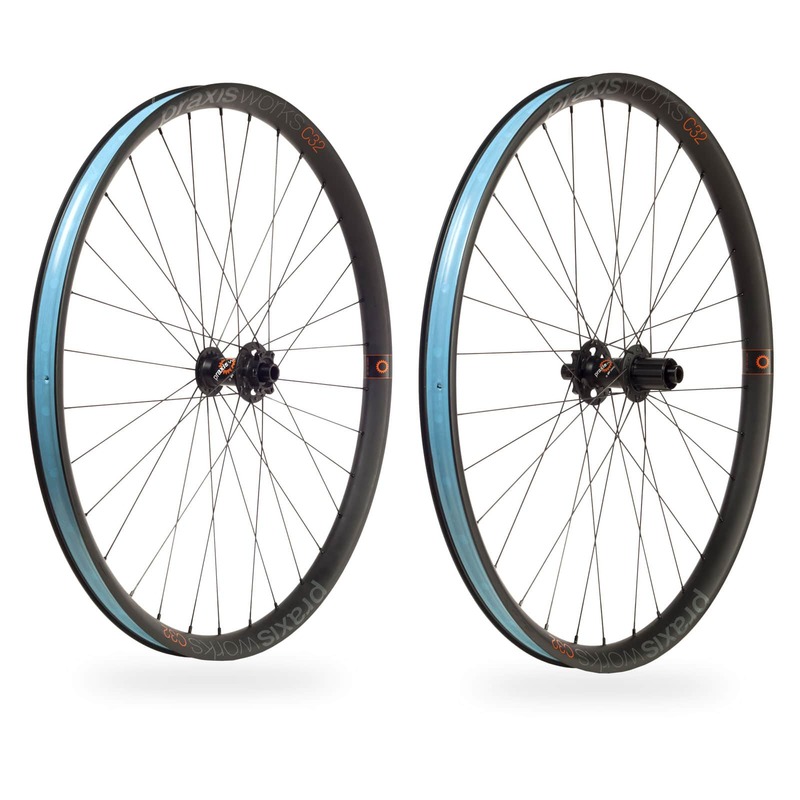 And imagine the most trusted name in hubs, DT Swiss, perfectly matched their hubs to the rims. 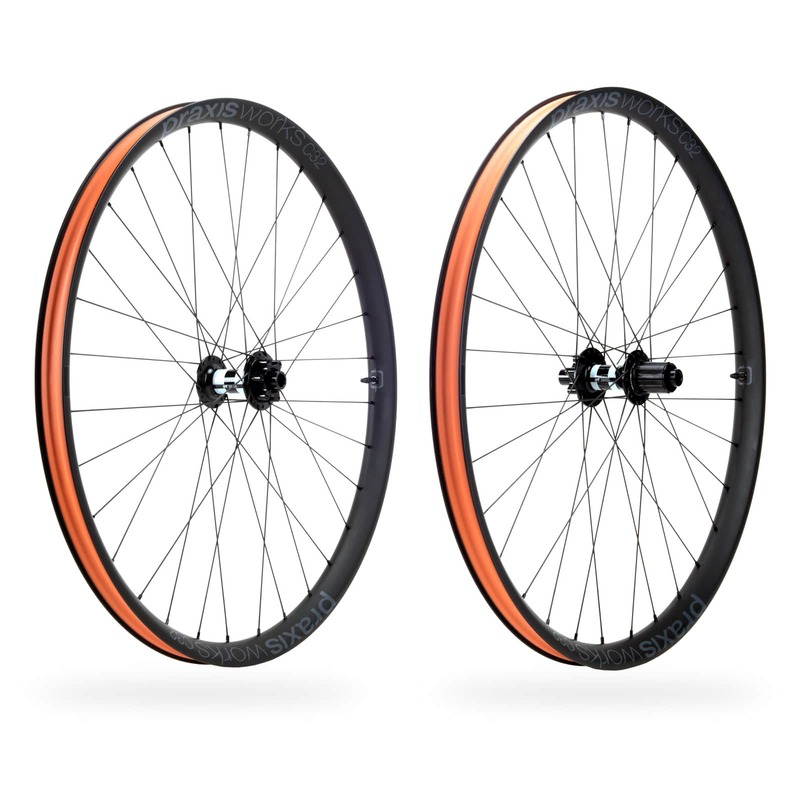 You’ve imagined what we’ve designed, studied, tested, built, and ridden – our new Praxis Wheels. 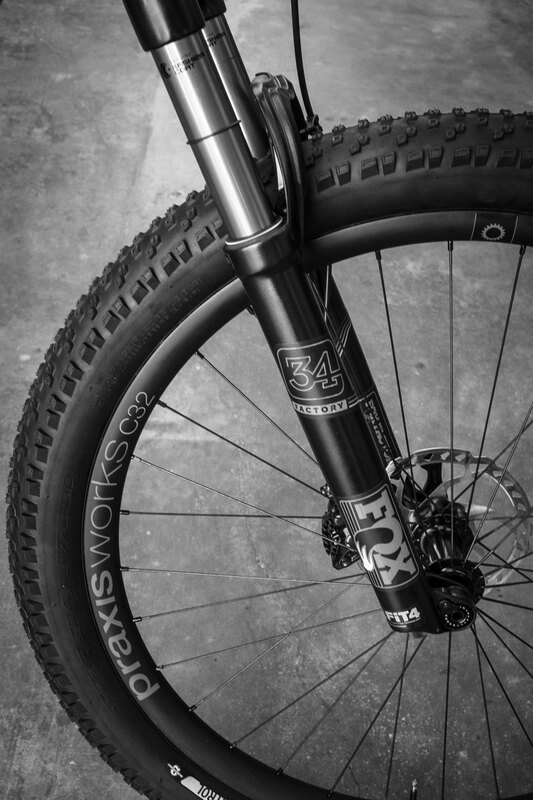 Praxis Wheels come from decades of experience riding, racing and wrenching on two wheels, along with our daily cycling in our bike-crazy home, Santa Cruz, California. 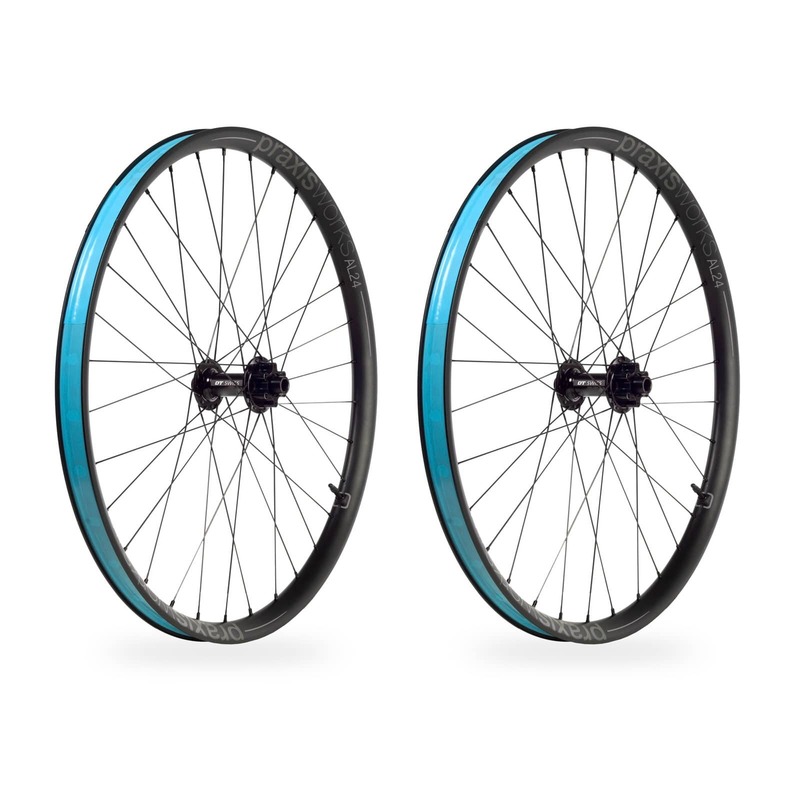 We wanted wheels which offer the benefits of modern materials and design, while using time tested technology. 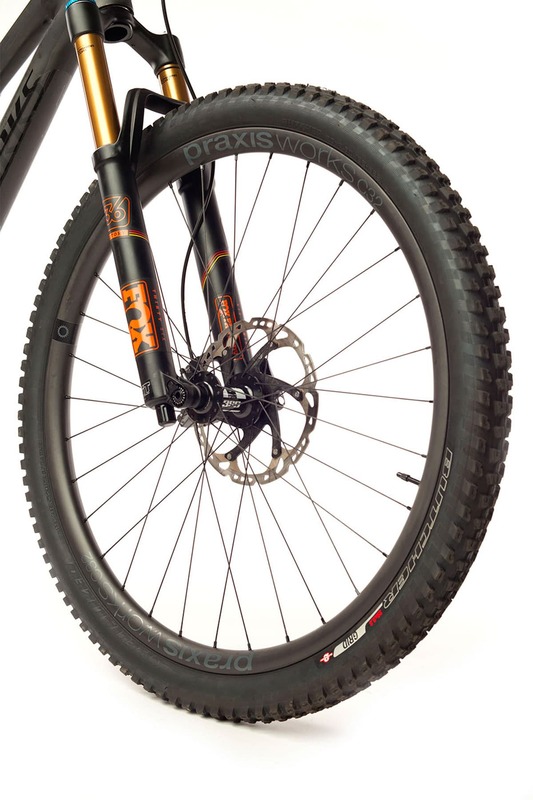 Like our innovative drivetrain components, Praxis Wheels let your bike do the work, while you have all the fun. As technology pushes the limits of equipment, the lines between DH, Trail, XC, Road and CX are blurring. Our team set out to create rims which match the pace of development. 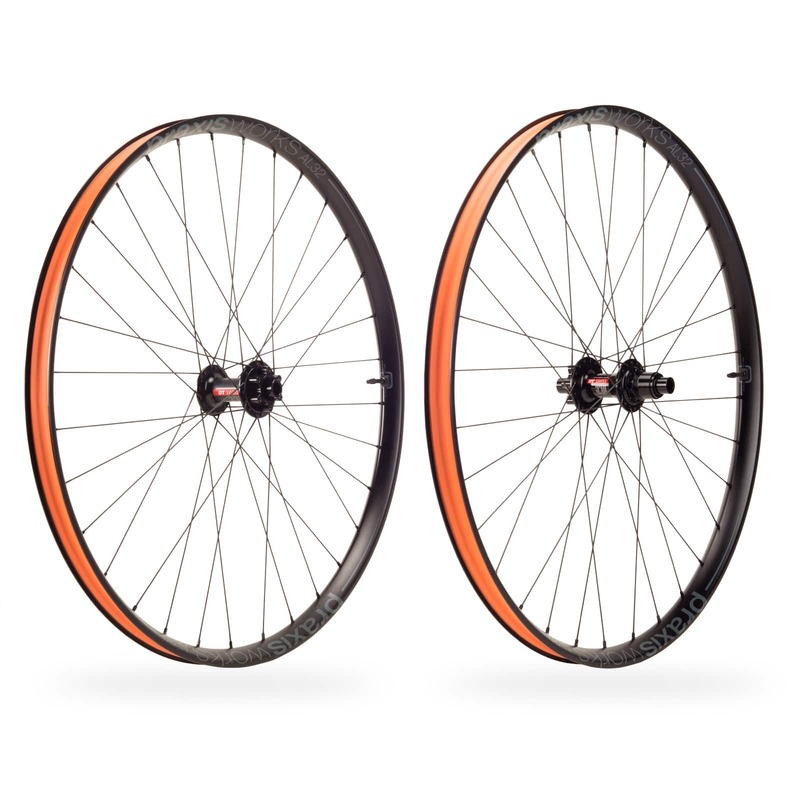 Available in carbon and aluminum, Praxis rims have ‘broad shoulders’ to support the wider tires popular in every discipline, for more support at the lower pressures tubeless tires allow. These factors add up to more control over even the roughest terrain. 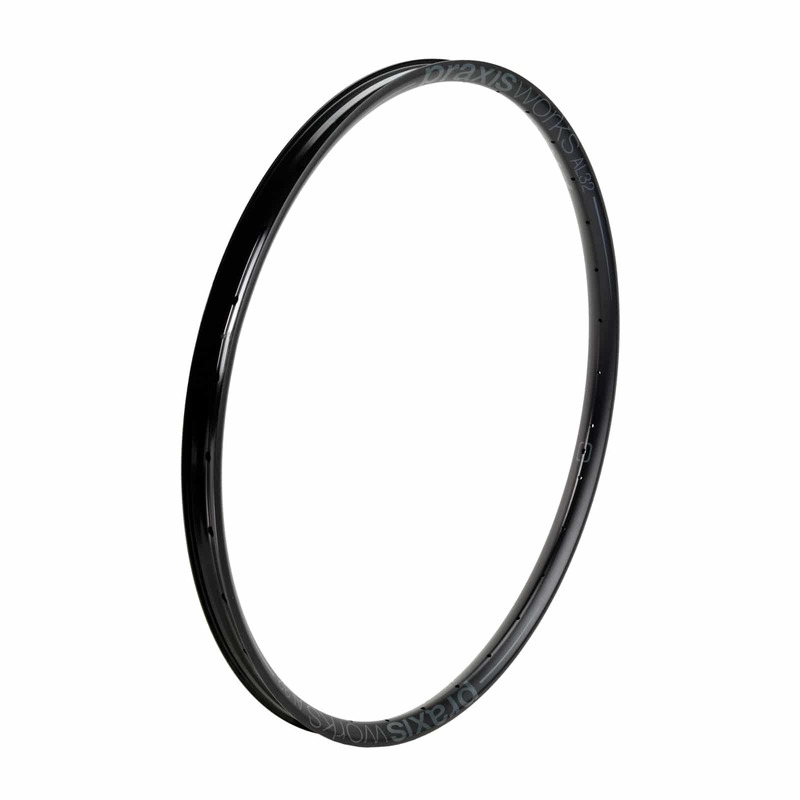 Plus, our hookless carbon beads make for a more resilient structure for excellent ride quality on the dirt and road. They also reduce rim weight helping you get up to speed and climb easier. Stiffer, stronger, and ready to explore new trails. We studied a wide range of rims, and determined a 3mm offset yields a more stable wheel, while optimizing rim design and strength. 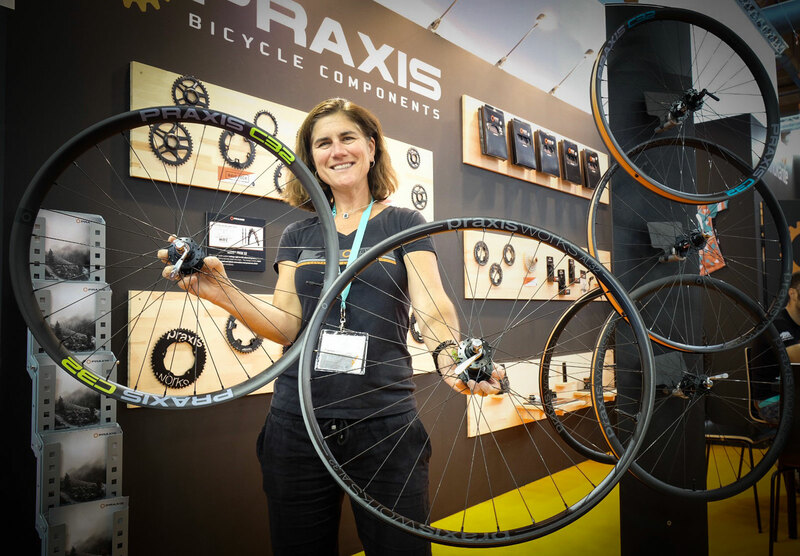 Praxis rims are designed to work with tubeless tires, and come with Praxis tubeless rim strips with valve stems installed. You’ll only need a floor-pump to ‘pop’-and-play. Cliché as it may be, hubs really are at the center of your riding experience. Hubs harness your power and maintain your speed, operating precisely under extreme stress. Perfectly aligned rotor mounts and axle hardware is imperative for smooth, quiet braking – hardly a minor detail. 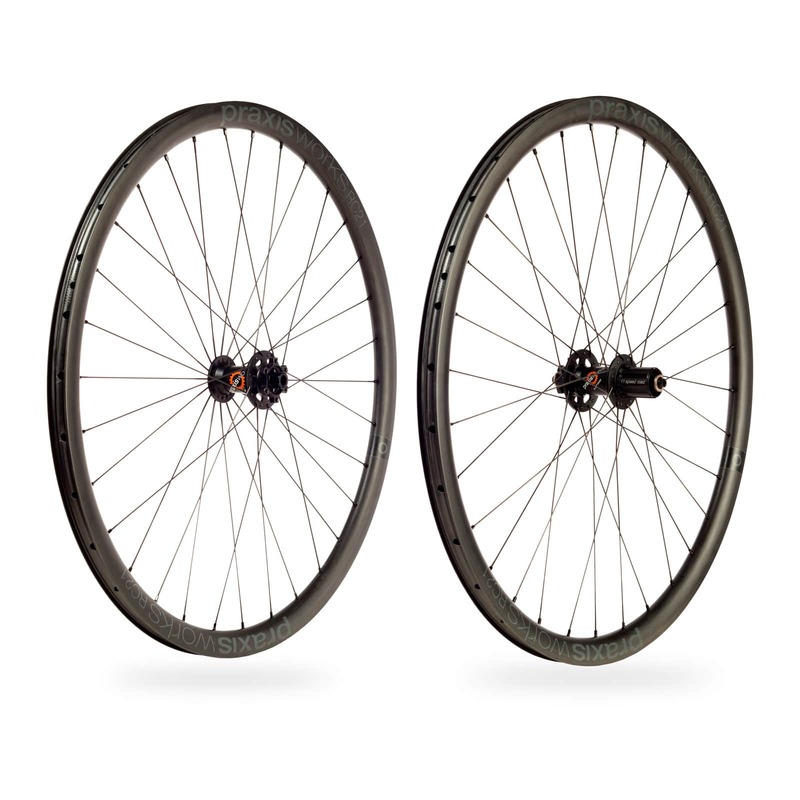 All Praxis Wheels use DT Swiss hubs, which set the bar for dependability and performance. 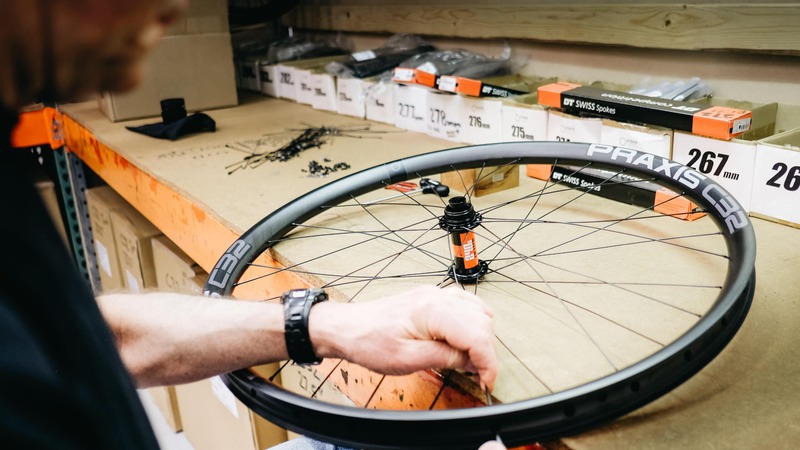 Our Praxis by DT Swiss hubs are tailored to our disc-specific lacing pattern, using DT Swiss 350 hub internals, and feature an upgraded 36 tooth Star Ratchet system from the box. DT products are supported throughout the world, so you can easily get parts to service or adapt your hub wherever you call home. One wonderful thing about bikes is that they can be customized to every rider, with an endless array of options. Choosing the right combination yields the best possible machine. 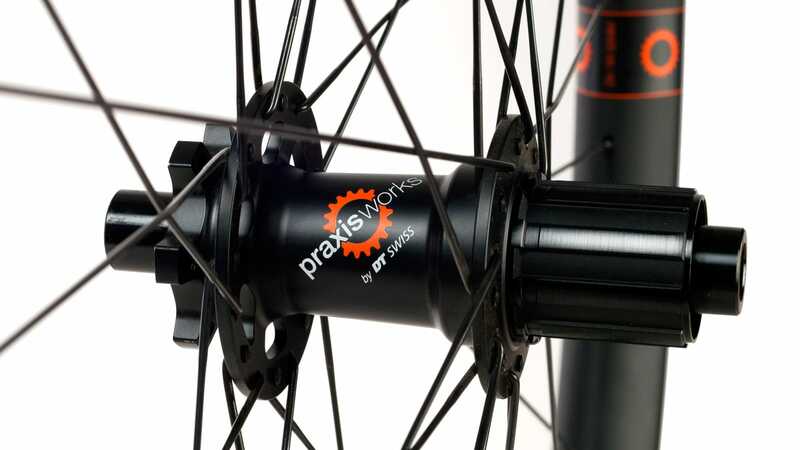 Our Praxis Wheels use our stellar Praxis rims laced with J-bend Pillar spokes to DT Swiss hubs – all components carefully selected for optimum performance. This curated assembly allows our wheels to be tuned and serviced over a lifetime of use, rather than rendered obsolete. Because, at Praxis, we believe in making products that give you confidence, so you know your equipment will stand up when you throw down.